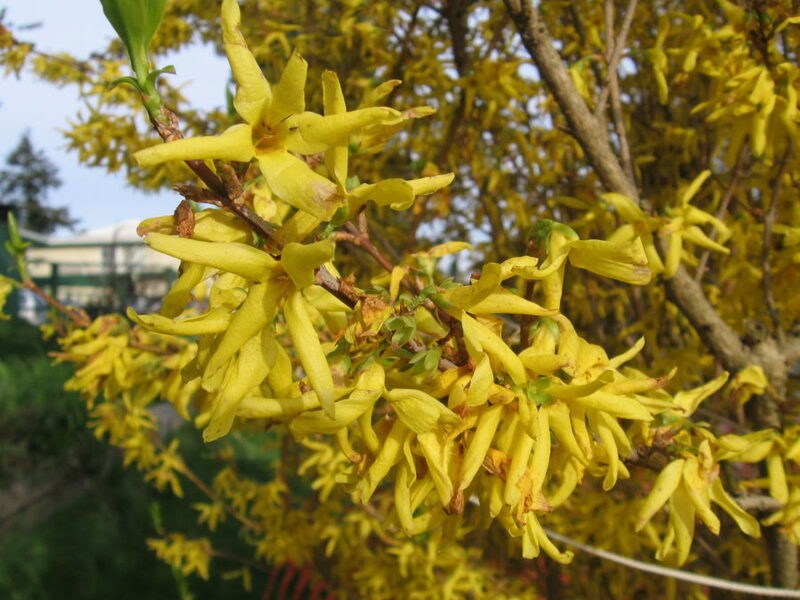 Native to China and Korea. 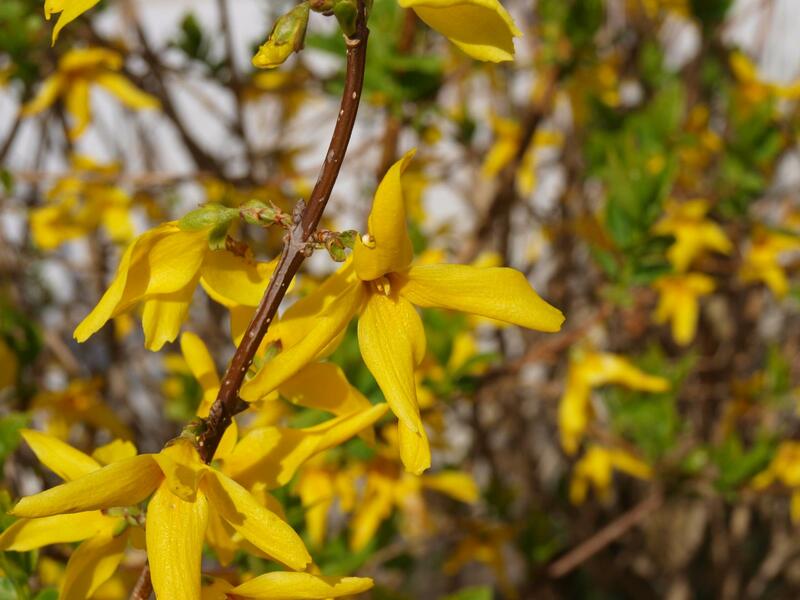 Forsythia is a beautiful, deciduous, fountain-shaped shrub with bright yellow blooms in winter and early spring. 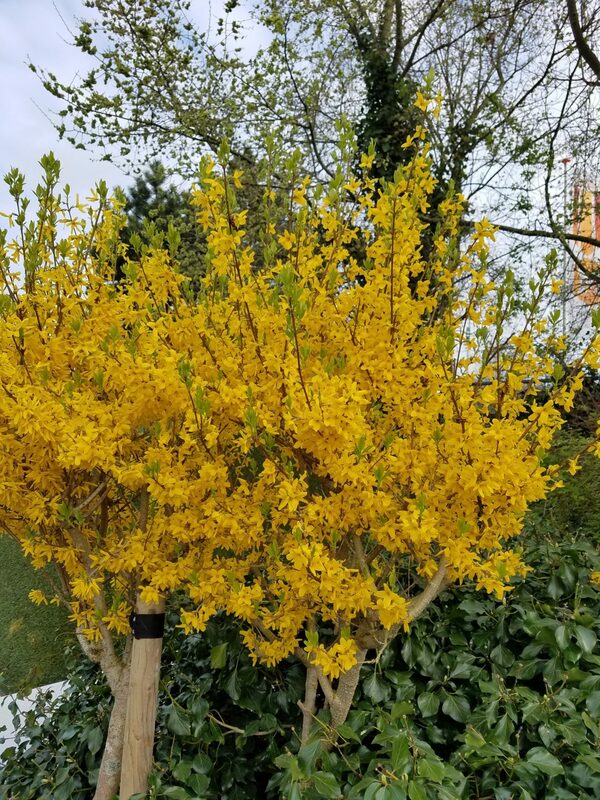 There may be some autumn yellowing of the green foliage but the principal appeal of the plant is the profuse seasonal blooms of yellow flowers develop all along the branches. 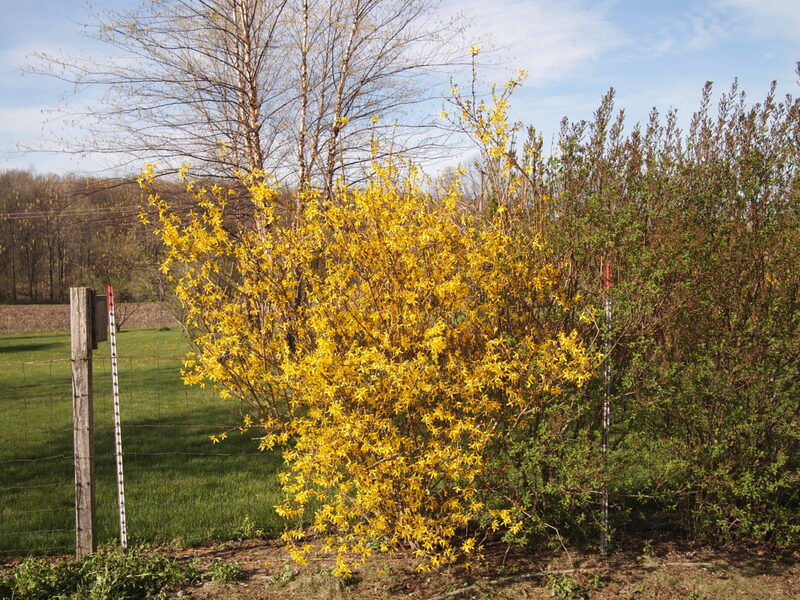 Most varieties are less than ten feet tall and wide. 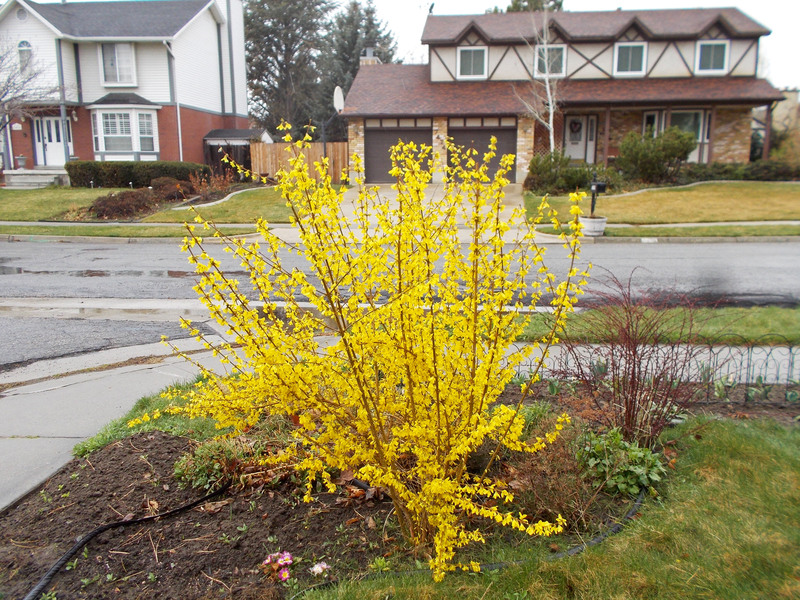 Plants can be pruned and trained for a variety of applications, including garden borders or screens. 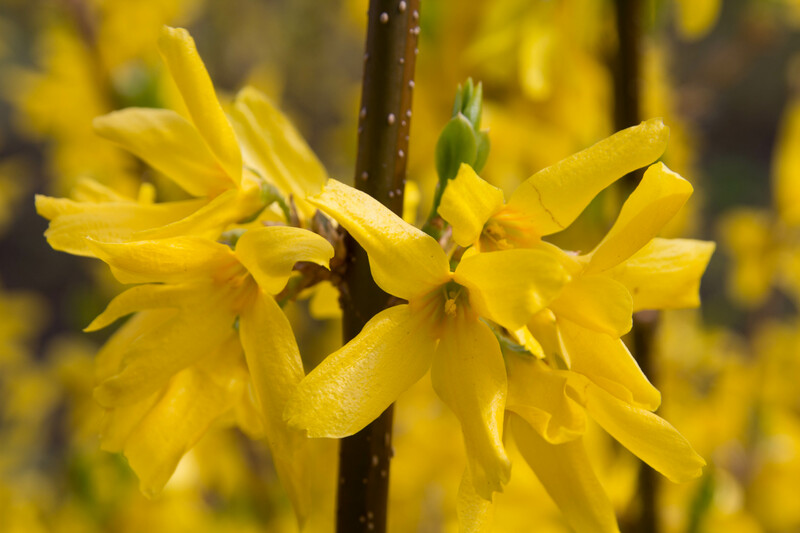 Forsythia will tolerate most soil conditions. The range of forsythia is for the most part limited by temperature - it grows best in areas without extreme winters or climates with little seasonal difference.